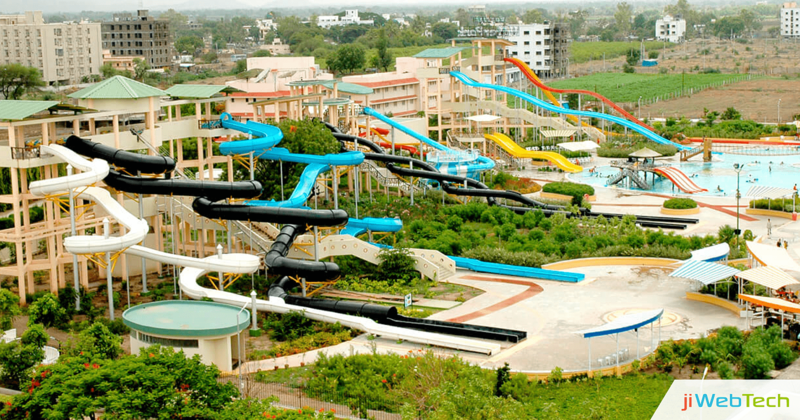 Splash is one of the best amusement park most preferred by families and kids to spend a mesmerizing and an enjoyable day. Full of fun, entertainment, dance, food, endless water slides, it covers a wide area while providing the visitors with all kind of facilities. As with the growing demands and advancement, they keep on adding more and more slides for a better experience and offering more food options. Eventually, their management team realized that they were spending quite a long time while explaining the ticket related details like age criteria, the price of water slides, about the costumes, foods, and other safety measures. This resulted in a huge time loss and the queues got longer with this. Secondly, they had an issue in their cafeteria and other food spots, people kept on looking for the menu here and there and the menus were limited in number. As the crowd increased, so did the demand for more menu cards and it was difficult meeting the needs for the same. Moreover, the menu card did include some of the food items which were out of stock and missed the one which was recently added. To cope up with all of this, the Splash team approached us looking for some suitable and reliable solutions for their amusement park. Considering all their existing problems, we suggested to them one of our product “jiBoard” which is a broadcasting and a digital signage solution for all-sized organizations. We got the digital signage deployed in their park at the particularly two spots- ticket counters and the cafeteria. At the ticket counters, we placed two screens, one which displayed the relevant details of the ticket related information including age criteria, ticket prices, combos and deals, and the costume prices in a very attractive layout and proper layout. For the cafeteria and the food points, all the available foodstuff was displayed along with their prices and impressive images of the foodstuff. This made easy for the customers to look up for the desired food items with wide options. On the whole, we installed around 20 screens more once they got satisfied with the existing ones. The hassle-free management and the time-saving solution itself proved the success of deploying digital signage on their premises.